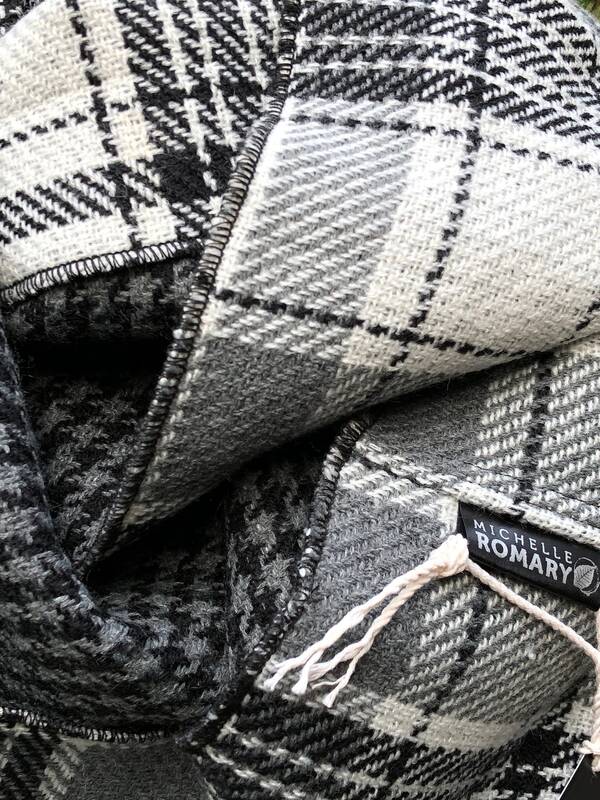 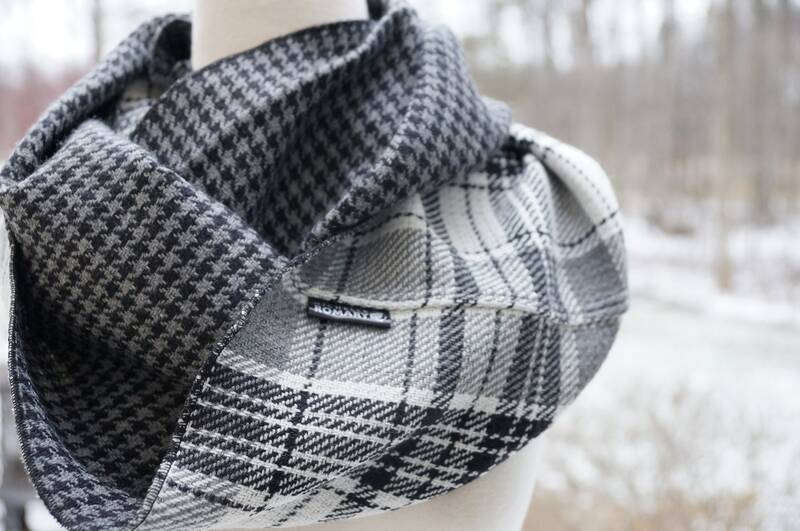 This incredibly soft and luxurious dual sided infinity scarf features a winter white, gray, and black plaid on one side and a gray and black houndstooth pattern on the reverse side. 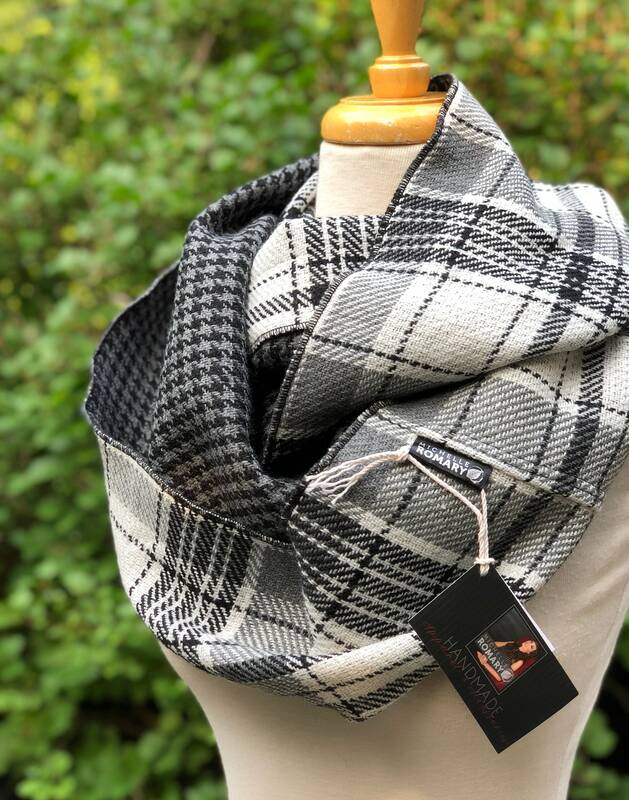 This circle/infinity loop of beautiful fabric looks fabulous as a casual addition to your outfit, or an accessory to your favorite coat. 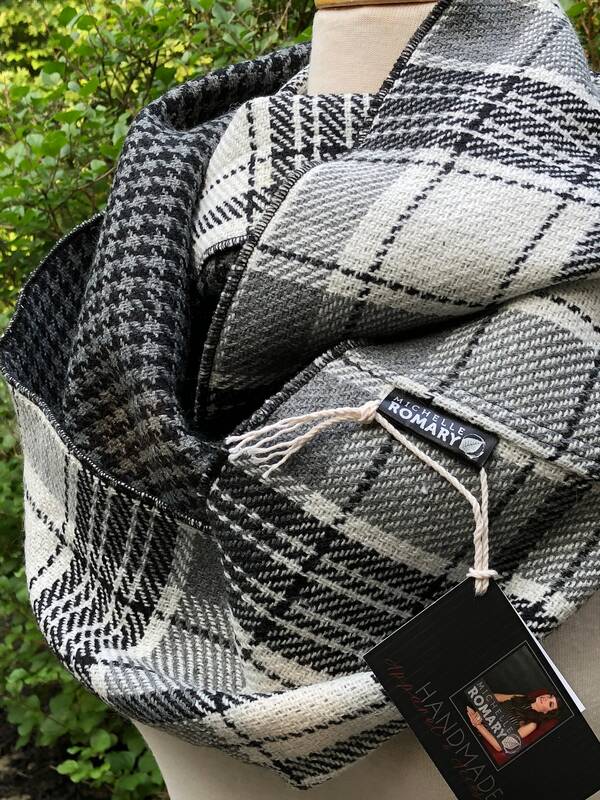 It is looped twice in the photos shown here on a women's size small dress form.